*Back and sides painted and can be signed by guests with metallic sharpie or you can write a special note, lyric or message. *Any sport jersey number or weight for wresting! 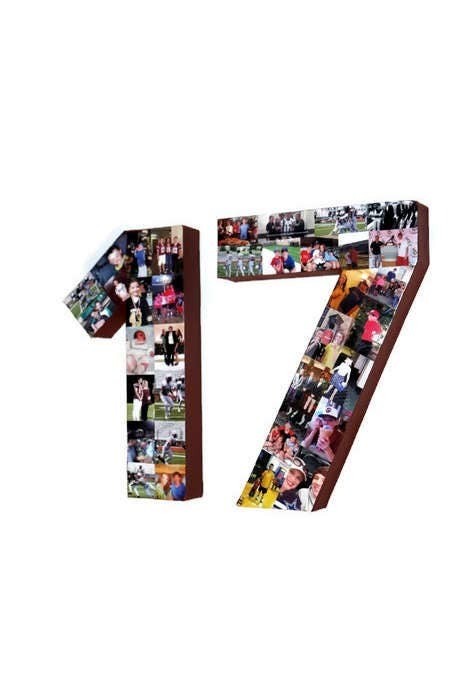 The 3D numbers are great for senior nights, birthdays, graduations, end of season, last games etc. Listing is for one 8" or 12" double digit number of your choice! 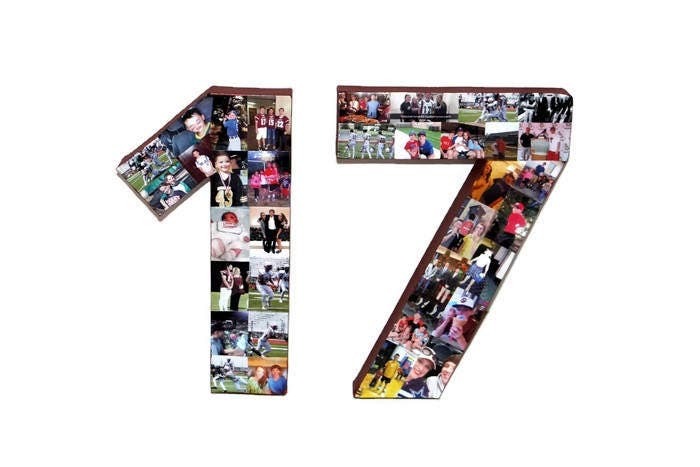 :) Chances are you wont find another 3D hand made approx 12" custom photo number on Etsy. This unique item was created from customer demand. 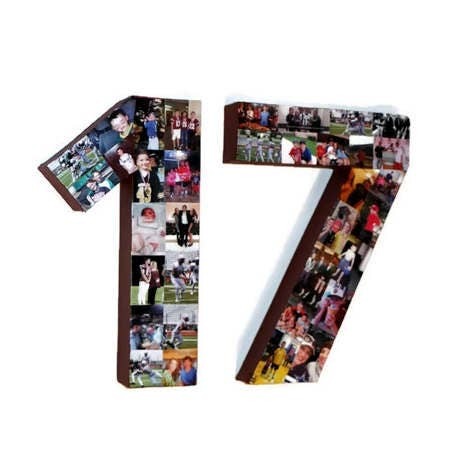 This number(s) is perfect for gift giving and displaying at a anniversary party, a birthday party at retirement party or to give as a gift as a keepsake for a baby to child to cherish as he grows. Perfect for any milestone occasion whether it be birthday, anniversary, graduations, class reunions. 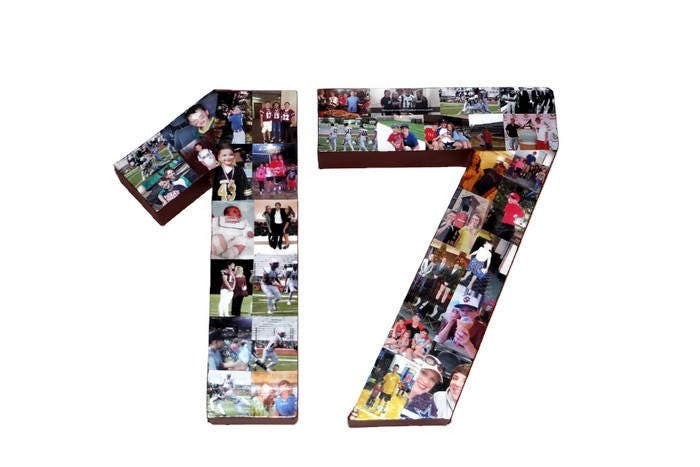 How perfect would this be displayed at a class reunion with everyone's photos added? So how does it work? Through the grace of technology there are many options and ways for me to get your precious photos. This process can be done through email, Facebook, Instagram, Twitter and other websites such as Photobucket, etc. Order the letter(s) or number(s) you desire then send your photos to Heather at BBCC [@] neo.rr.com. 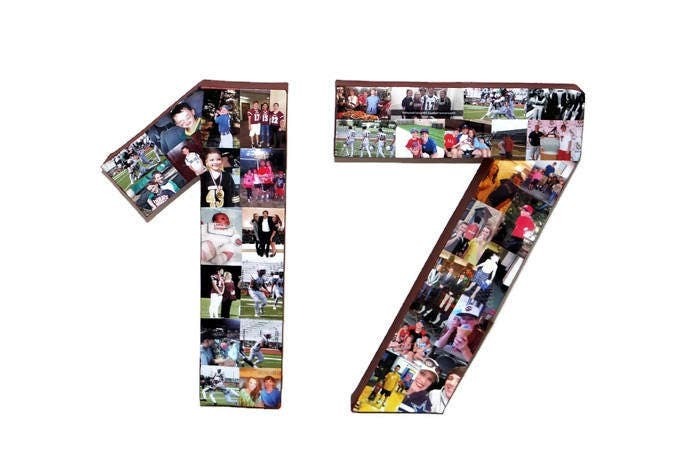 Your photos will be hand cut, resized, cropped and arranged on paper Mache for 3D. The photos will be arranged like puzzle pieces intermingling together as one unified piece. I will also enhance your photos whenever possible. If you are ordering black and white, I will transform your color photos into black and white. Color photos are also an option.